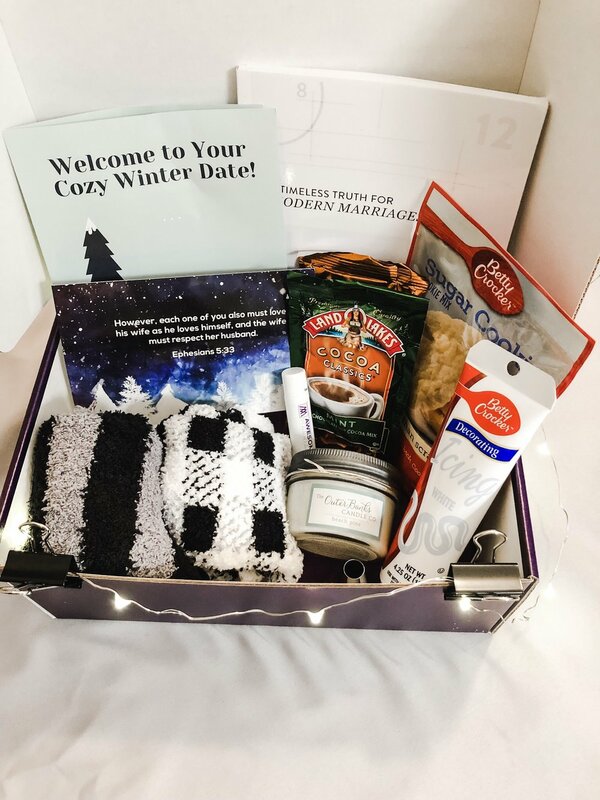 Our Cozy Winter Date Box is a fun and easy way for you and your spouse to have a fun and festive date night in. Have fun getting cozy together and enjoy relaxing and connecting. For only $43, this Date Box will arrive right at your door, holding everything you need to have a cozy winter date with your spouse. Copy of Dr. Kim’s mini book “Timeless Truths to Modern Marriages” so that you can keep investing in your marriage long after your date. We only have 125 Date Boxes for purchase. Order yours today before it’s too late!